Prince George RCMP are reaching out to the public in search for a missing man on Canada-wide warrant. Police have been looking for Ravinesh Jason Sharma since August 8th for Being Unlawfully at Large, when he missed his curfew at a designated home in the Northern capital. 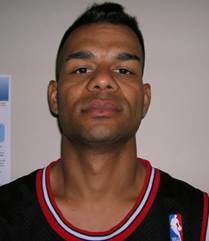 Investigations into his whereabouts and unconfirmed sightings of the 31-year-old have come up short, but Mounties believe he may be in the Lower Mainland or another community. Sharma is considered to be violent and should not be approached. Anyone with more information is asked to call their local detachment or Crime-Stoppers at 1 (800) 222-8477.